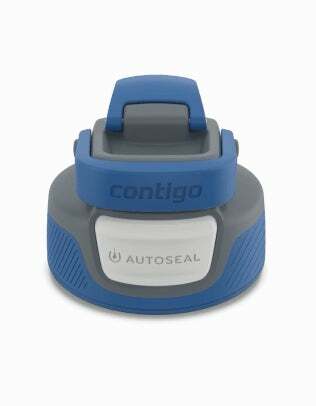 Contigo’s Autoseal West Loop is your pick for best travel mug, and the most popular drinking vessel we’ve ever listed. For your sake, I hope you embrace their water bottle with arms just as open, because three of the top five water bottles in our reader vote were plastic. The most important feature of a water bottle is the drinking spout (or lack thereof), followed by temperature retention. That’s another way of saying that plastic bottles and wide mouth bottles jars are awful, and I say that in addition to any concerns about the plastic itself. Like the West Loop, the Chill’s one hand-operable lid is a pleasure to drink out of. It’s both leak and spill proof, has a handle that folds flush when you don’t need it, and a foldaway dust cap to keep the spout clean and add redundant leak protection. The 24 oz. stainless steel body is thin enough to actually comfortably get your hand around, and will fit in even the tightest of backpack bottle holders, while keeping water cold for up to 28 hours.